and academe during the 50th founding anniversary of the Punjab Agricultural University. The global rice research agenda was the focus of a plenary talk given by Robert Zeigler, IRRI director general, during the Third International Agronomy Congress held at the Indian Agricultural Research Institute in New Delhi, 26-30 November. About a thousand delegates from 24 countries participated in the congress. While in India, Dr. Zeigler also signed the ICAR-IRRI Work Plan for 2013-16 on 29 November. Signing for ICAR was Director General S. Ayyappan. With the signing, both institutions agreed to implement the 4-year work plan under the existing collaborative mechanism as enumerated in the ICAR-IRRI MoA of 1974. The Plan involves 24 ongoing and new collaborative projects with the Global Rice Science Partnerhip (GRiSP). 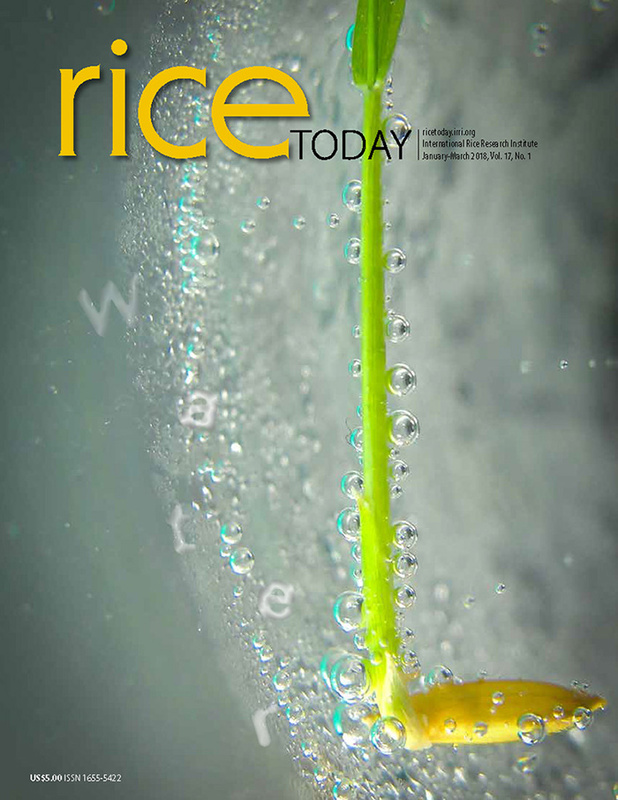 New projects include Genotyping and phenotyping for gene discovery, Epigenetics: Potential roles in controlling agronomically important traits, Multi-parent advanced generation inter-crosses (MAGIC) among diverse genotypes to facilitate gene discovery for various traits in rice, C4 rice, New sources of resistance to biotic tresses/wild rices introgression, and Increasing the yield potential in rice among others. Prior to the Work Plan signing, Dr. Zeigler attended the opening of the 3-day international conference, Sustainable agriculture for food and livelihood security—part of the celebrations for the 50th anniversary of the establishment of Punjab Agricultural University (PAU) on 27 November 2012 in Ludhiana. The PAU conference was opened by Pranab Mukherjee, president of the government of India. Dr. Zeigler, addressing more than 1,100 participants (photo), commended the PAU for having served agriculture well in the past 50 years and expressed hope that the university continue to produce the next generation of scientists that will help bring about global food security. Dr. Zeigler also chaired the technical session, Breeding crops for food and climate resilience.